We all know the common saying that Chinese are known for many traits. They are family-oriented and stress education to their children. They are astute businessmen and believe in the value of owning real estate. They love to eat fine food, and every Chinese celebration involves eating. On that note, I must tell you about the latest restaurant opening just on the outskirts of San Francisco’s Chinatown that is the talk of the town. In the middle of San Francisco’s financial center is the four building Embarcadero Center which houses business offices, retail shops, nightclub entertainment, and always at its core has been a popular Chinese restaurant. I attended many events, parties and weddings decades ago at the original Harbor Village Restaurant which was popular for its beautiful location with windows overlooking the harbor. A restaurant called Crystal Jade became its successor and was the scene of many fine banquets, and I even once attended a San Francisco Symphony Auxiliary event in its large lovely bar reception area. 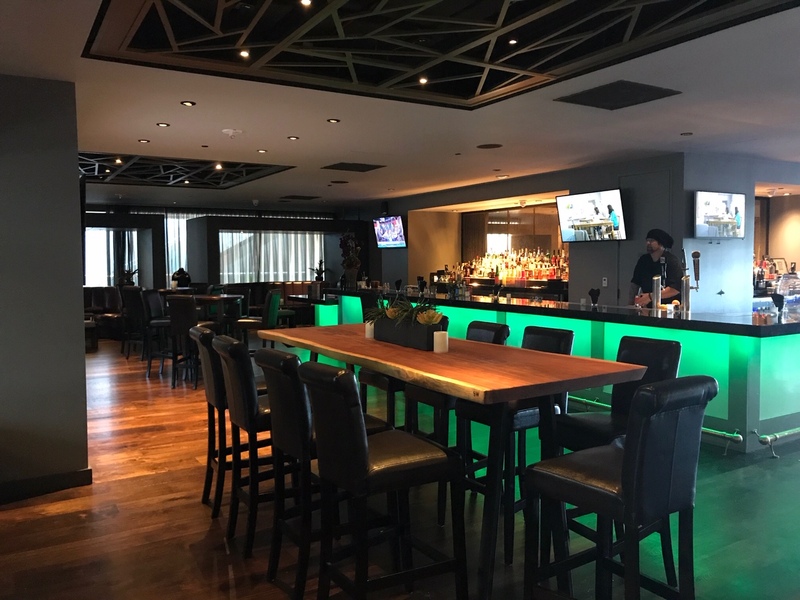 After a long span where the restaurant scene was dark, Embarcadero Center #4 now has a bustling new restaurant called Harborview. Last week, during a usually post-holiday quiet season for restaurants, I found Harborview to be packed with happy diners of all ages. 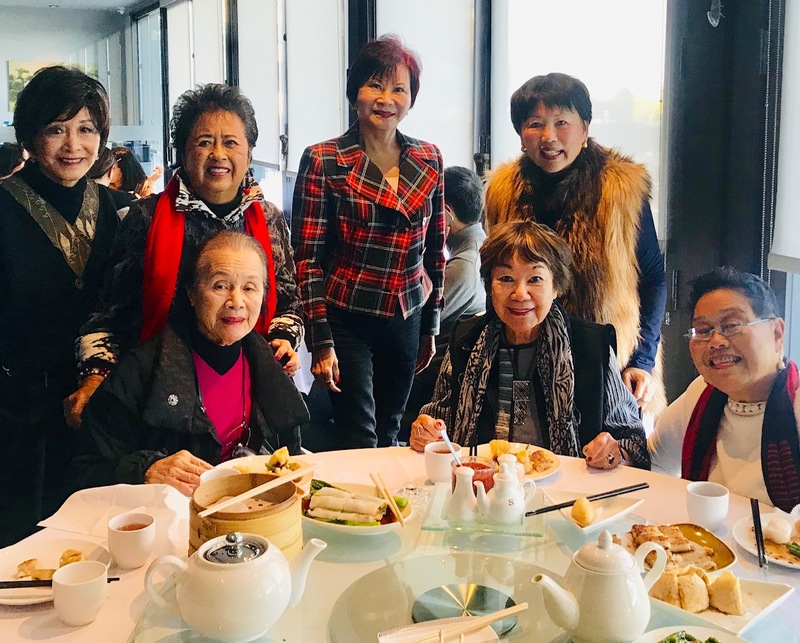 This 20,000 square feet restaurant’s main dining room at lunch was filled with noisy diners, eager to sample the new dim sum menu that owner Kinson Wong has developed for his new clientele of savvy gourmet foodies. Our group of equally eager diners had the privilege of sitting next to the wide ceiling to floor windows overlooking the restaurant’s terrace, with a view of the Ferry Building and the busy Embarcadero Expressway below. 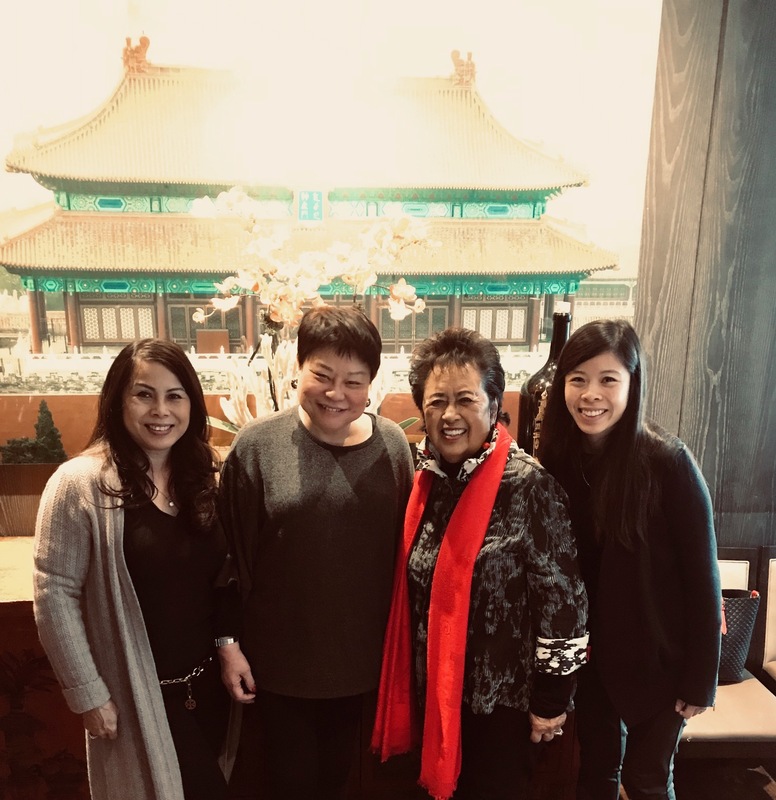 Dali Jones and Stella Lee Wong were delighted with the different selection of dim sum dishes that Irene Lee, who had already dined three times during Harborview’s first three weeks since opening, expertly selected. Susan Chang and Toy San Tom savored their favorite Tomato Beef chow mein and Beef Chow Fun dishes. Obviously this is THE place to see and be seen. While sampling the restaurant’s new signature dim sum dishes of “Black and white” Black truffle & Kurobuta Pork Shanghai Soup Dumplings, and gourmet Baked BBQ Pork Buns with a special sugar crust, I spotted San Franciscans David and Sharon Seto with out of town guest Jenny Theleen. At other tables of this 180 seat Main Dining Room was Peninsulan May Koo with fellow Bryn Mawr alumnus Julie Lee, Toddy and Lily Lee. Susan Chang ran into old friends May Jew, Amy and Warren Quach and Tina Ng. General Manager Angel Liu showed me the smaller rooms for private parties surrounding the main area. The Hong Kong Room seats 26 with two large tables and is equipped with Karaoke/TV capacity and two lounge chairs. The Singapore Room has one long rectangular table for 16 person capacity , perfect for business meetings while dining. The Macau Room has a large 16 person table with decorative modern designed furnishings on the side. Owner Proprietor Kinson Wong, standing right, welcomes dinner patrons to private Hong Kong Room. 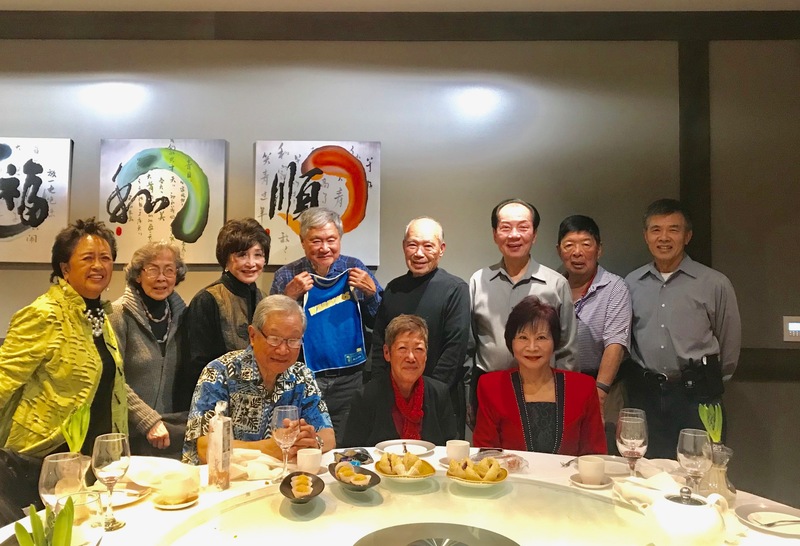 Dr David Yee hosted a dinner to herald the New Year with his friends Dr. Clifford and Susan Chang, Dr. Bob and Betty Chang, Hampson and Evangeline Lum in the private room, as again, the restaurant was at full capacity with predominantly Asian diners. This is usually a sure sign of a restaurant that has exceptionally good Chinese cuisine. 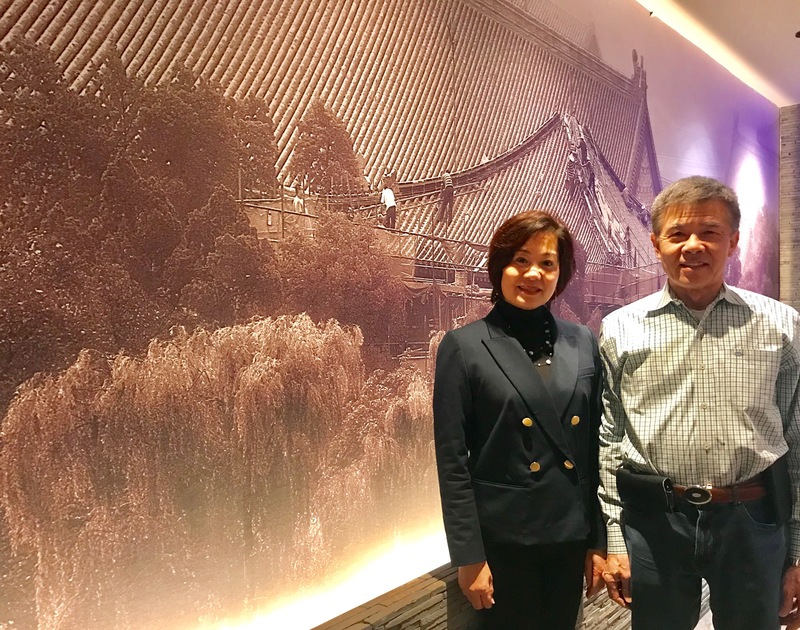 Director of Marketing and Special Events Karen Wong Liu, who also happens to be the daughter of owner Kinson Wong, told us more about this new restaurant which is attracting attention throughout the Chinese community. 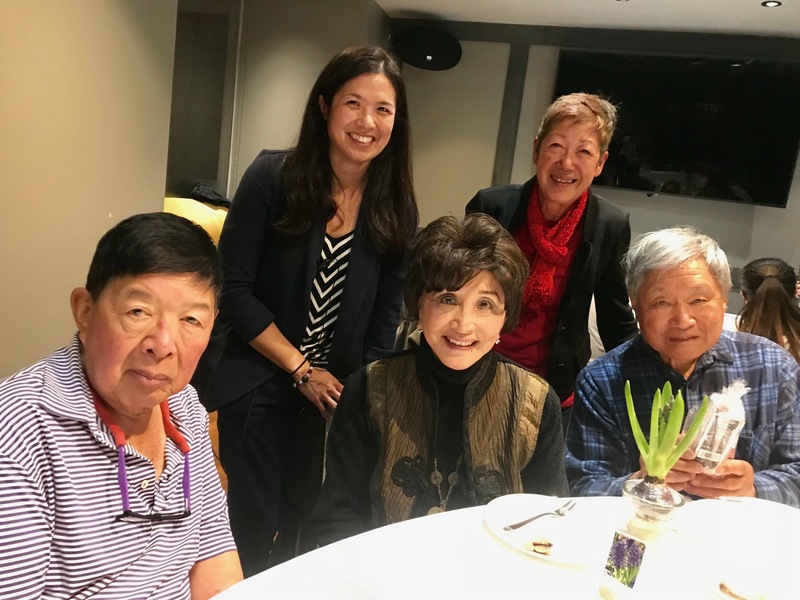 She explained, “My dad, Kinson Wong, established Harborview just barely 2 months ago, and many of his loyal friends are here from his R&G Lounge time when he was the original founder from 1985-2018. Here along with a team of specially selected culinary and hospitality professionals, he has started Harborview Restaurant & Bar to elevate the Cantonese Chinese dim sum and seafood dining scene in an impeccable elegant setting with panoramic views of San Francisco Bay here at Four Embarcadero Center,” she proudly added. Karen quit a business position to join her father in this exciting new venture. She told us about his life, saying, “A refugee who swam from China to Hong Kong after a harrowing 15 hour experience, he arrived in San Francisco in 1975. Beginning his culinary career in San Francisco’s Chinatown, he opened his first wholesale dim sum business in 1982, and founded and was general manager of the historic R&G Lounge from 1985 until opening his own place here,” she proudly continued. 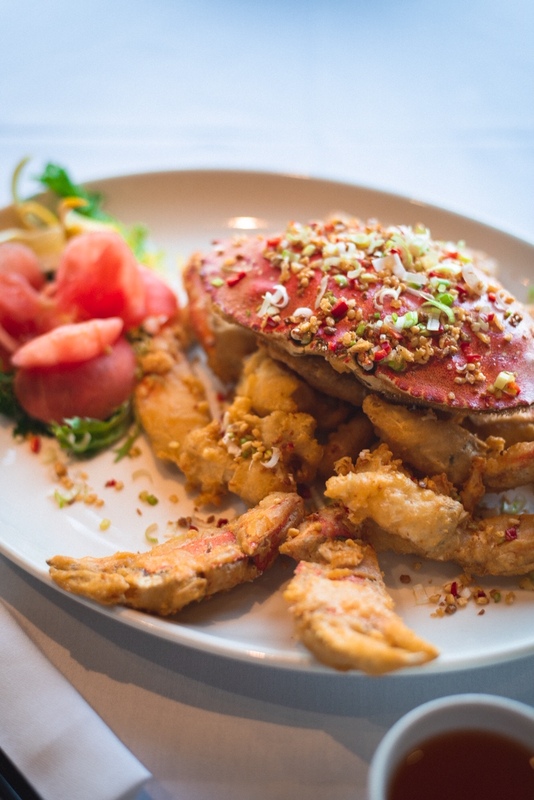 Harborview Restaurant’s signature salt & pepper crab dish is admired by all in dining room. Exciting times are coming to events co sponsored by the Chinese Historical Society in San Francisco. Their 2019 programs are a Dulcimer Concert with Hannah Shieh & Special Guests at the CHSA museum building on January 12 at 965 Clay Street in the heart of Chinatown. Composer Hsieh will play select songs from Chinese and American cultures while premiering her own compositions based on her experiences in California. On January 24, Helen Zia, community activist and author, will discuss her latest publication, LAST BOAT OUT OF SHANGHAI , which tells the real life stories of four people who were trying to escape China during the 1949 Community Revolution. To be held at the Chinese Culture Center at 750 Kearny St., in SF Chinatown, there will be book sales and signings by Zia which will be an exciting event starting at 4:30-6:45. 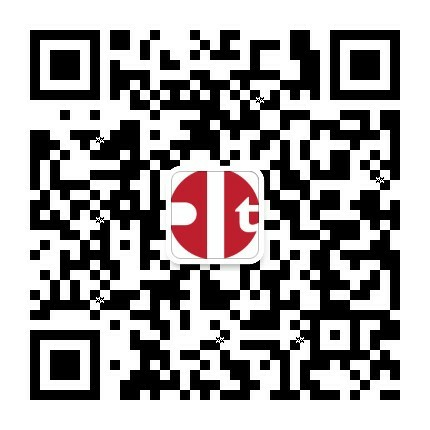 Check chsa.org website for more info. 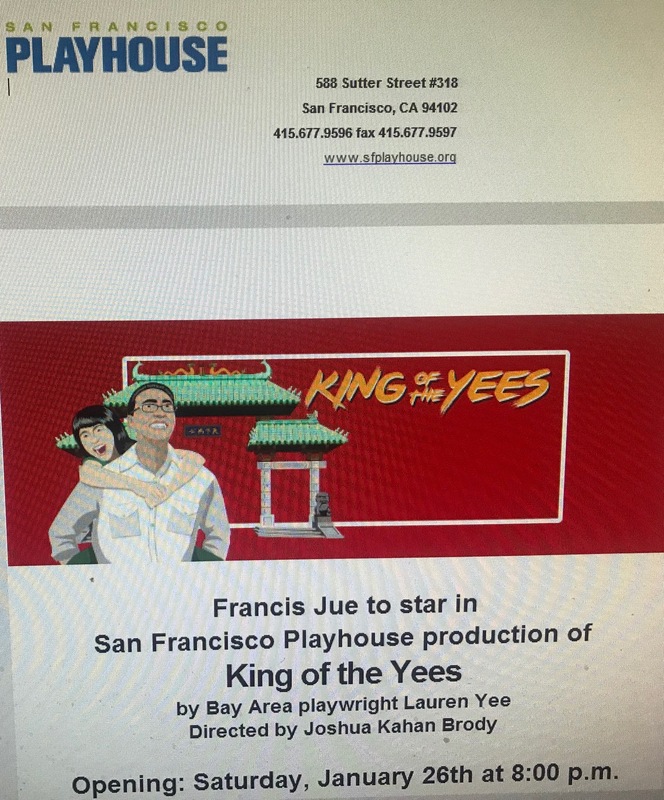 Our favorite fellow, Obie and Lucille Lortel Award-winning Francis Jue will be returning to his San Francisco hometown to star in the San Francisco Playhouse production of KING OF THE YEES by Bay Area playwright Lauren Yee. The play opens January 26 and plays to March 2 at the San Francisco Playhouse in downtown San Francisco at 16 450 Post Street on the second floor of the Kensington Hotel. 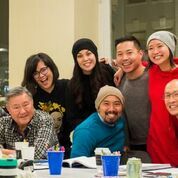 Story line of play is that for nearly 20 years, Lauren Yee’s father Larry, to be played by Jue, has been a driving force in the Yee Family Association, a Chinese American men’s club formed 150 years ago in the wake of the Gold Rush days. Suddenly father goes missing, so Lauren delves into Chinatown life, and with the play both hilarious and heartbreakingly honest at times, it is an epic joyride across cultural, national and familiar borders. Playwright Lauren Yee explained her play, saying “I always felt my father deserved to have a play written about him so who better to write it than me? King of the Yees is a love letter to my family, and to San Francisco and its vibrant and historic Chinatown community. It’s an extreme honor to be back in my hometown and making art for the people I grew up with,” she added. Let’s all go out and support this Chinese themed play set in our own San Francisco, no less. BAY AREA MUSICALS (BAM!) founder Matthew McCoy announced the company’s first 2019 production will be the Tony Award-nominated VIOLET, opening February 16 at the Alcazar Theatre on 650 Geary St., San Francisco. VIOLET is the story of a scarred woman as she goes on a cross-country bus trip to be healed by a minister and discover the true meaning of beauty along the way. BAM! Is a professional non –profit theatre organization dedicated to presenting the highest caliber of musical theater here. Since 2014, the company continues to strive to stimulate and inspire the San Francisco community through high –caliber musical theater ranging from familiar classics to new works. Let’s support local theater once again, and enjoy VIOLET, the musical. www.bamsf.org/violet. 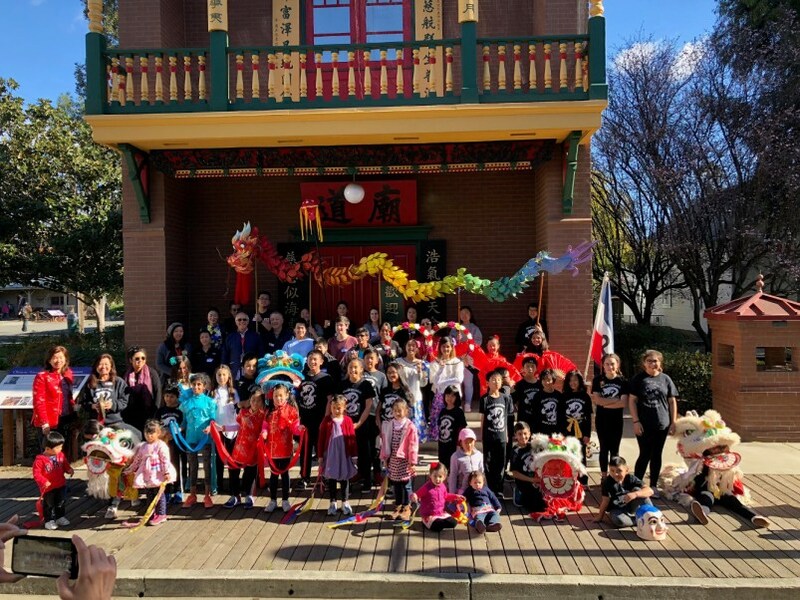 2018 Festival performers in front of the Chinese American Museum in History San Jose park. The Year of the Pig will be upon us very soon – actually February 5th – so start marking your calendars for celebrations to participate in. 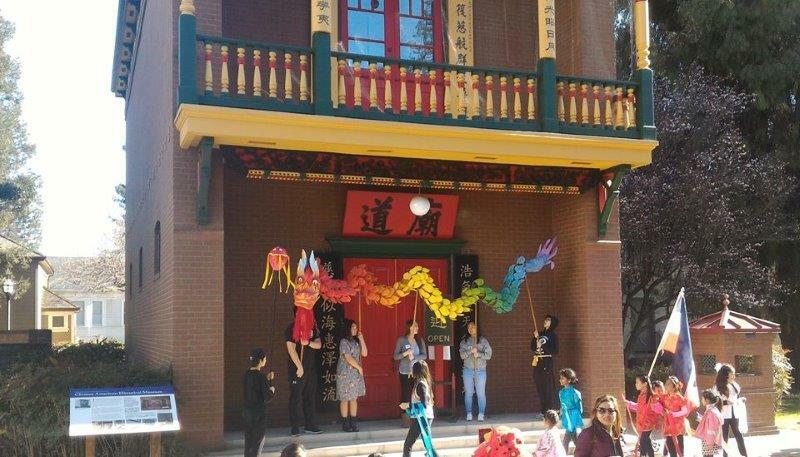 In San Jose’s HISTORY SAN JOSE PARK, The Chinese Historical and Cultural Project (CHCP) will hold its annual Chinese New Year Festival on February 17 Sunday 12-3pm with activities for families of all ages. 2019 Presidents Bozeno Teo and Dave Yick, together with Festival chairwoman Liz Chew will have exciting activities to see and do. 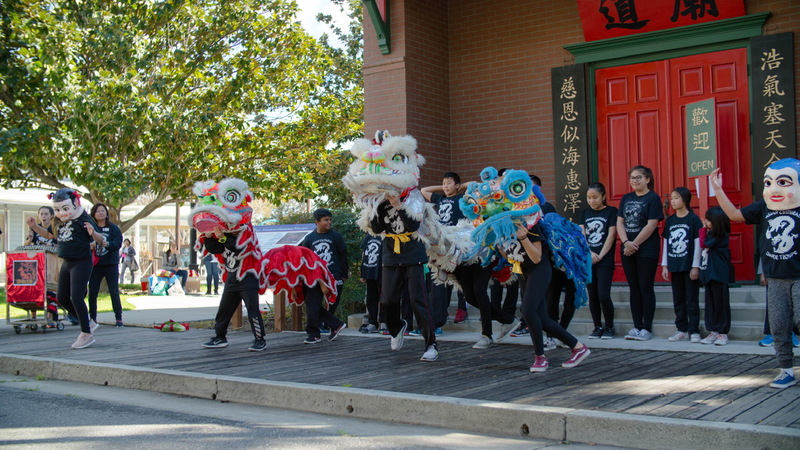 Highlight of the day is seeing Hoong, the Dragon parade in front of the Chinese American Historical Museum in full grandeur for the children to ooh and aah at, and even parade alongside him. Children enjoyed arts and crafts activities at 2018’s CNY festival. Colorful costumed children will perform cultural dances of Asia so festival patrons can sit back and enjoy their enthusiasm at learning folk dances from their native countries. 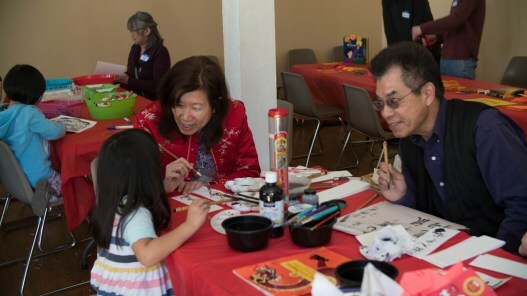 For the children, young and old, there are tables set up with many arts and crafts activities for them to get in the spirit of Chinese New Year and culture. CHCP Board members Al Low, Anita and Yucaipa Kwock, Debbie Gong-Guy, Pinki Fung and Brenda Wong will be on hand to show new additions to the CHCP Chinese American Historical Museum which the group oversees and continues to open for all to learn about Chinese American history of Santa Clara Valley. 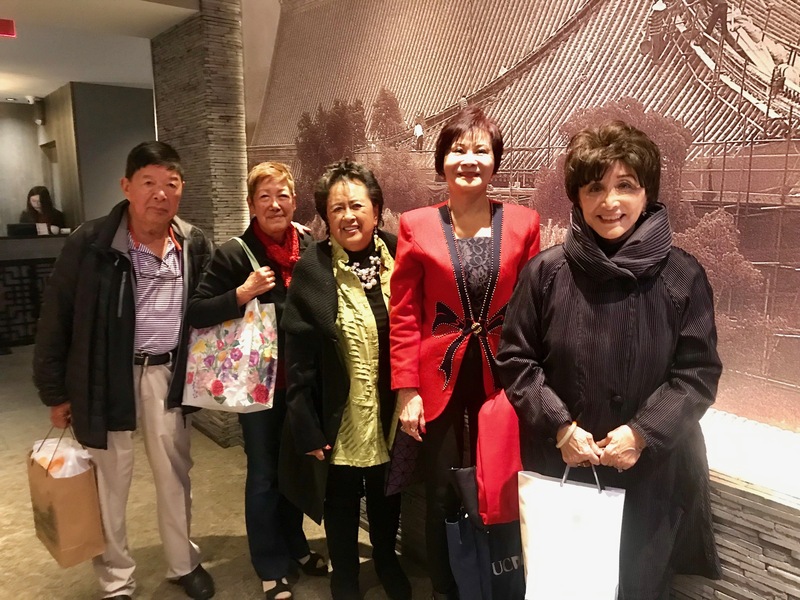 When I and a group of barely 20 dedicated Chinese American volunteers founded the group back in 1987, thirty years ago, we envisioned building this museum so that future generations can learn about the proud history of early Chinese pioneers to Santa Clara County. 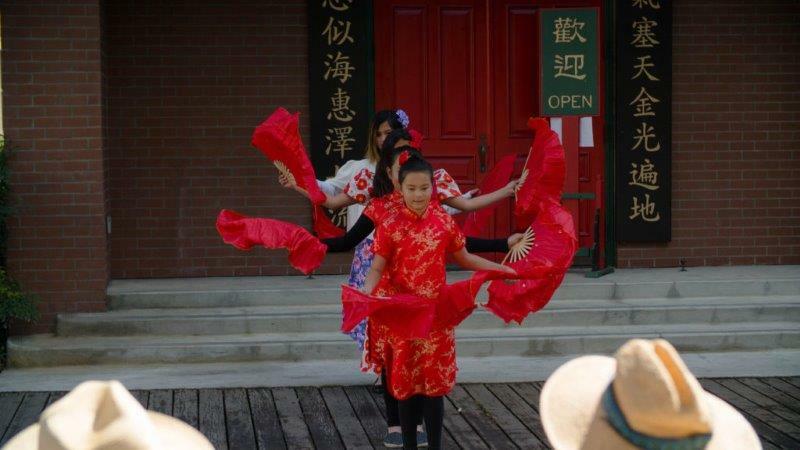 Since that time, thousands of visitors and school children have visited and become more aware of the importance Chinese immigrants played in the history of California. Chinese youth dance groups will perform at the History San Jose CNY festival event free to the public. Oink Oink – hear ye hear ye – Bring your family and friends to enjoy a day of Chinese New Year celebration with the CHCP on February 17. Free admission welcome to all. History San Jose/Chinese American Historical Museum is at 635 Phelan Ave., San Jose. For more information, check www.chcp.org.